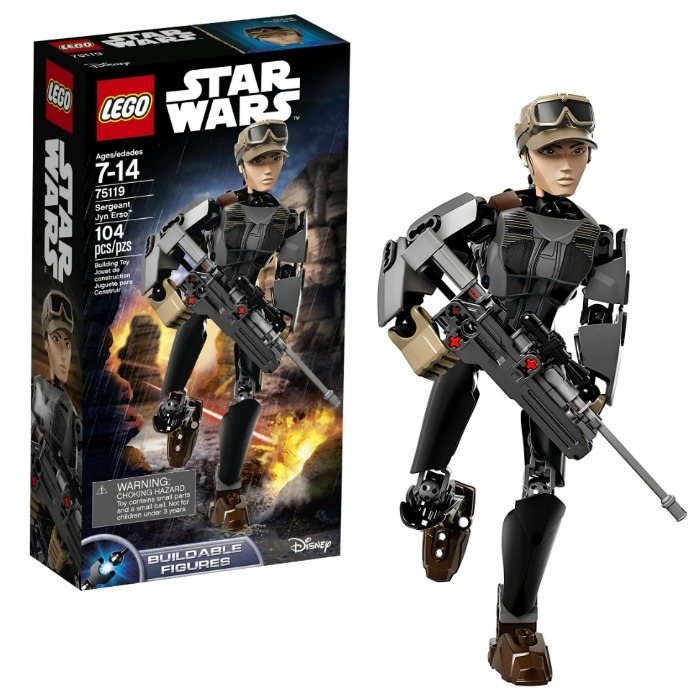 LEGO STAR WARS Sergeant Jyn Erso Just $12.49! Down From $25! You are here: Home / Great Deals / Amazon Deals / LEGO STAR WARS Sergeant Jyn Erso Just $12.49! Down From $25! Amazon has this LEGO STAR WARS Sergeant Jyn Erso for just $12.49 (Reg. $25)! Help the Rebel Alliance take on the Empire with this buildable and highly posable Jyn Erso figure. Featuring a blaster rifle with spring-loaded shooter, wheel-operated arm-swinging battle function, and detachable back-mounted truncheons, this durable figure is just the thing for recreating intense battles from the movie, Star Wars: Rogue One.